The Cutting Gizmo by the Gypsy Quilter. 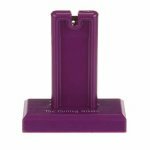 The Cutting Gizmo is the extra hand you always need when separating chain-pieced segments for your quilt tops. It stands steady on your table. 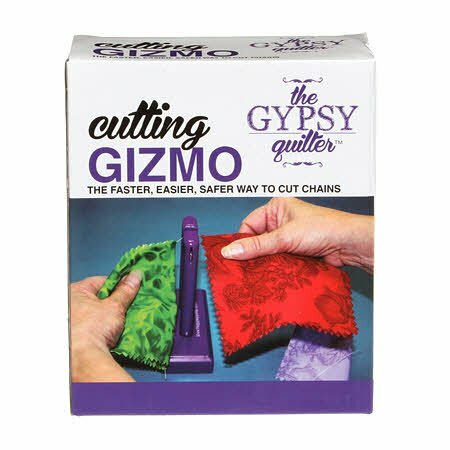 Safely cut chained pieces by holding the fabric with both hands and slipping the chain into the slot on top of the Gizmo. The cutting blade can be replaced with a standard safety razor blade. This unique tool dramatically reduces the time you spend separating segments, without damaging your fabric or fingers. The perfect accessory for frequent chaining.